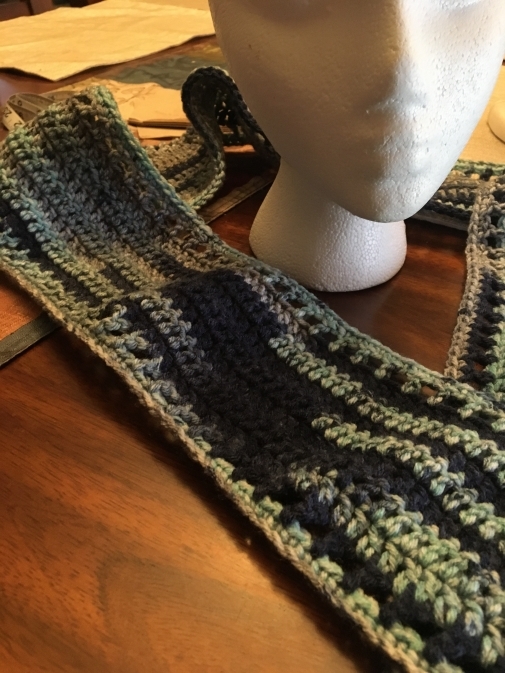 Crochet Scarf made with I Love This Yarn Super Soft Acrylic in Multi-Colored Blue. Scarf will fit anyone, teenager to adult. Made in a non-smoking environment. Approx size: 67” in length. Scarf would make a great addition to an outfit or a great gift for birthdays or Christmas. Care instructions: Hand wash and lie flat or gentle cycle. *This product includes a free gift. You will be receiving a crochet butterfly, crochet star coaster, or crochet flower. If you have any questions, please feel free to message me*. **If requesting a Custom Order, please be specific in the comment box in regards to your Custom Order (color or colors, style, etc.) Additional charges may apply for any expedited shipping. Please feel free to message me or contact me via email when you have any questions**. Item ships from: RED BLUFF, CA, US. $7.00 USD ($5.00 USD when combined with another item) by USPS. Expedited Rate: $9.00 USD ($7.00 USD when combined with another item) by USPS. $15.00 USD ($12.00 USD when combined with another item) by USPS. Expedited Rate: $18.00 USD ($15.00 USD when combined with another item) by USPS. Shipping is $0.00 for local pickup on any items or for any items priced $5.50 or less shipped only within the US. The Combined rate of $4.00 is for the purchase of 2 or more crochet items that are shipped within the US. If purchasing a crochet item that is sold in a set of 2 or more, this counts as 1 item and the $7.00 shipping rate still applies. Local pickup includes Tehama, Shasta, and Butte counties. (Please email me when you have any questions in regards to delivering to other counties as there may be an additional charge). 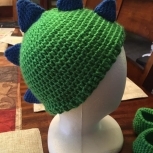 **EXPEDITED RATE SHIPPING applies to any crochet item in stock and if you are requesting these items to be shipped earlier than the normal 1-3 bus days. It also applies to any CUSTOM ORDERS and if requesting these Crochet Items to be completed and shipped within a shorter time frame. 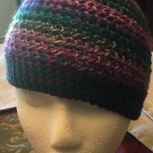 Current completion time frame is 1-3 months for most crochet items**. **PAYMENT IS STILL REQUIRED UP FRONT FOR ALL CUSTOM ORDERS**. 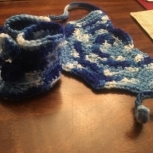 **All Crochet Items that are in stock or on hand will be shipped out after payments have been received and posted through Paypal or by check or money order. ANY PURCHASES THAT ARE MADE THROUGH PAY PAL, THE BUYER HAS 3 DAYS AFTER THE DATE OF PURCHASE TO PAY FOR THE ITEM OR THE PURCHASE WILL BE DECLINED AND THE ITEM WILL BE RELISTED**. **All items are sent out USPS Priority mail and are generally received within 1-3 bus days. 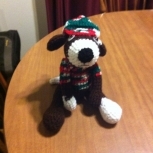 All CUSTOM ORDERS will be sent or mailed out once the Crochet Project has been completed**. Shipping Internationally: At this time, there is no shipping Internationally or worldwide available. Due to hygienic reasons, any hooded scarves, hats, beanies, or headwraps can not be returned for a refund. All other items can be returned, but only within 3 days of receiving your items. Buyer will pay for return shipping. When your purchased items are received back, your money will be refunded. 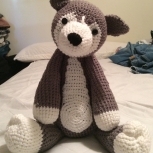 Please feel free to message me or contact me at my email address at gouldcrochet@gmail.com when you have any questions regarding the item or items your are purchasing, return policy, or if you need any further clarification regarding the crocheted projects, size, style, colors, etc. I want you to be happy with the item or items you are purchasing. Unless there is an emergency, standard response time to any emails is usually 1-2 days.